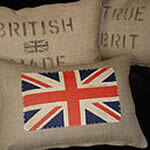 Notonthehighstreet.com offers a wide range of cushion covers, for everyone’s taste. 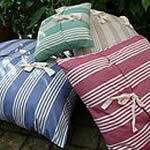 With nearly 1 thousand cushions, this is not only a good place to buy handmade cushions but this is also a great site to find some inspiration! 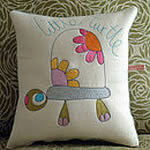 The selection & diversity of small businesses selling their handmade cushion covers means that all products are unique and beautifully crafted. 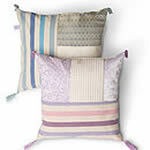 The notonthehighstreet.com site sells handknitted, linen, patchwork, silk, lavender, flower and even hand painted cushions! 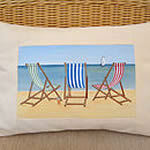 For those looking for a personalised gift, some cushions can also be customised. Most of these cushions have a square shape so if you want to make your own cushion then you could use one of our latest post “Make a square cushion by Cath Kidston” to guide through the different steps. 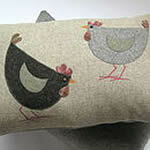 We have only selected 6 models that we like but to browse the whole range of handmade cushions, please click here.